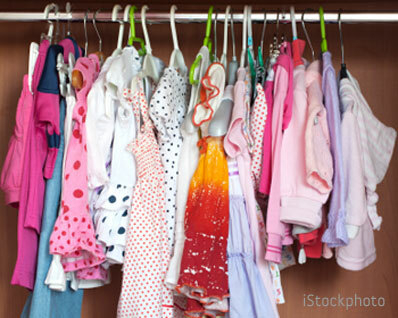 It starts small, saving a baby shirt here, a sweater there, and the next thing you know you have boxes of old kids clothes taking up space in closets and basements. The easy and philanthropic solution is to donate all those items to the Red Cross or another organization. But if you have brand name items or new clothes with the tags still on them, you may be able to sell those piles of clothes for good money (which you could then donate to a charity of your choice, if you so choose). 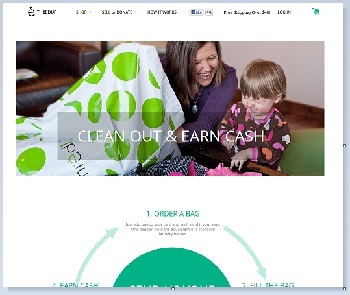 There are a number of websites or even retail stores that can turn your clothes into cash. Here’s our list of sites we recommend for listing your items and places to conveniently drop off those clothes. Either way you can get a jump on that spring cleaning and perhaps make some serious green in the process. We’ve successfully sold more of our stuff on eBay than through any other means. Why? You have potentially millions of people that are looking for that one gently used whatever—be it a shirt, boots or winter coat. You’ll put more time into selling on eBay than other sites, but will get the most money for your efforts. Also consider using the eBay Mobile app to list items. Look at high value items first – pull out those name brand clothes people know like Ralph Lauren, Lacoste and Tommy Hilfiger. Not only are these clothes more popular, but will likely sell for far more money than clothes bought at a store like Carter’s. Take great photos – a picture is worth a thousand words, or at least $20. The extra minute or two to stage the item you’re selling will pay off. The better the item is presented, the more enticing it is to consumers to buy. If the clothes still have tags, capture them to show that the item is new and in great condition. Do your homework and don’t get greedy – Yes, that Lacoste shirt may have originally cost you $50, but do some searches and see what other people are selling their new or used clothes for. Some of it is gut feel based on the condition of the shirt. And leave emotion out of your item description – no one cares that this was the coat your daughter went skiing in for the first time. Use eBay’s Best Offer listing option - When you list your item with the Best Offer option, people can make an offer to buy your item right then for the price they're willing to pay. You always have the option to turn down a buyer’s offer. Make it easy and more enticing – Consider bundling items together versus selling them individually. Sell a shirt and pants together or items from one brand. It will save time and still get you a good return on your items. Match your clothes to the upcoming season - You'll have a lot more success selling your winter coats and boots in late fall, versus February and March when retailers are putting all of their merchandise on sale. Buyers are also less likely to be looking for an item they'll get little use out of until the next year. This husband and wife team have created a site focusing on buying and selling more everyday brands like Oshkosh and Carter’s. Similar to eBay you create a profile, list your items for sale and you’re contacted if you have an interested buyer. 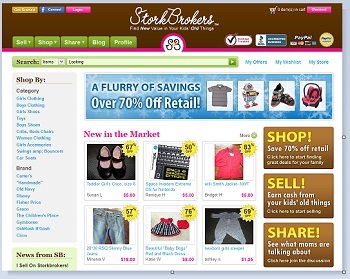 There are no fees for listing an item on StorkBrokers and you pay a flat 6% fee once your item sells. If you want to get all of the clothes that may be worth something out of your house without the hassle of listing them, thredUP is the perfect option for you. All you need to do is go to the thredUP.com, order a Clean Out bag for free and then fill it with new or like-new clothes. Like-new clothes need to be in great condition and recently washed. The site encourages you to include national brand name clothes that have a broad appeal. threadUP will pick up your bag at no charge and then evaluate each piece of clothing. You’ll be paid anywhere from 20-40% of the resale value—no waiting for your items to sell. Once Upon A Child has locations nationwide. Visit the website to find a location near you. Children’s Orchard is in thirteen states across the US, everywhere from Alaska to New Hampshire. Kid to Kid is located in about half the country and you can find a store near you. You can earn cash up front or get 20% more in store credit. There's a new option now! Here’s one more option to add! There’s new baby clothes marketplace available called http://www.Onesie2Onesie.com My wife and I actually started this site to help parents because there wasn’t any better options out there. #OnesieExchange promotes selling and buying of bulk baby clothes to make $$$ quick with low fee and buyers get everything they need quick. We are new but already got few items listed and selling fast! Come check us out!